2. Kicking Poodle in office attire. 3. 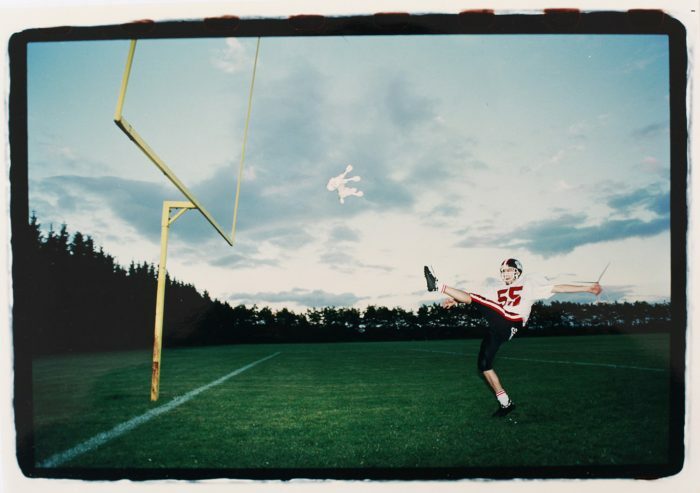 American Football Poodle kick. The Pink Poodle is one of the first artworks by Søren Dahlgaard. Three different Pink Poodle sculptures were created, one featured in each of the three photographs. The pink Poodles are made from flexible foam, flexible steel wire and pink latex. 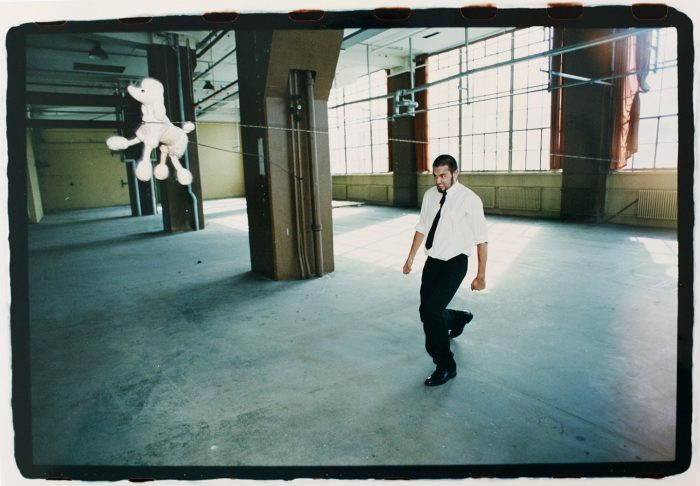 The office and boxing poodles are fitted with elastic strings for a swift rebound/counter-attack. Artist, performer and sculptor: Søren Dahlgaard. This work was exhibited at Charlottenborg Kunsthal in Copenhagen, Denmark in 1998. A second boxing performance was produced for Channel 4 at the Henry Cooper boxing gym in London, UK, in 1998.